T 2005 OPT The T 2005 OPT is an automatic high speed cross cut, defecting and optimizing saw system. 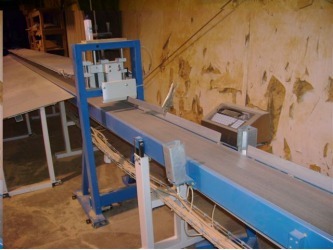 It is equipped with a CNC precision programmable pusher, to accurately position the board to the selected lengths. The electrical components and PC Computer are housed in a separate cabinet which can be placed to preference making the job of the operator easier. The loading station consists in a flat galvanized metal surface where the operator is able to mark several boards to be loaded. A flat steel table ensures that the boards are flat against the fence while making the loading operation very ergonomic. 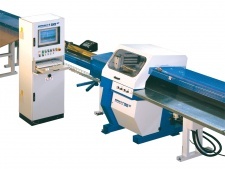 A pneumatic cylinder with adjustable speed controls the up-stroke, with a flow regulator conveniently locate in the front of the machine. The fully adjustable blade guard, acts as a clamp for the workpiece and it is automatically activated in cycle with the machine. 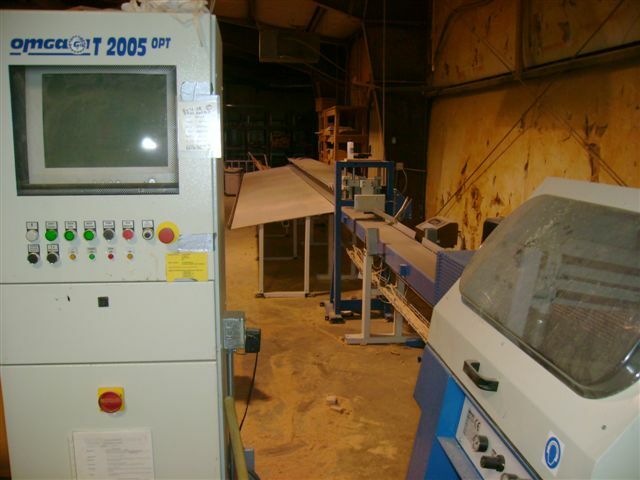 A safety hood with Plexiglas window offers total protection of the cutting area. 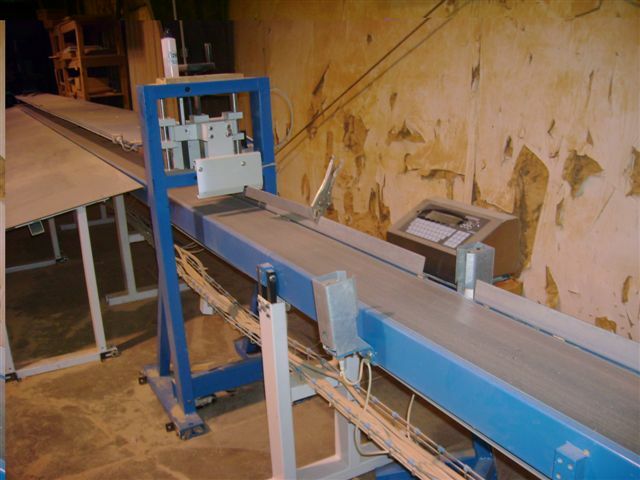 A motorized conveyor belt 8' in length, at the outfeed, unloads the pieces onto an optional automatic sorting system or directly in to a general sorting area. The computer can perform seven working programs to execute as many cycles; moreover the system provides constant updates of the following information: * Stock in cubic feet, required to produce the number of pieces in each list. * Number of pieces produced of each length. * Amount of stock in cubic feet divided into: first , second grade and waste * Cubic feet required to produce remaining parts. * Yield as a percentage of the total The system can perform simulated cutting to verify the result before processing the wood and allowing the user to decide whether to use the chosen parameters for the required production or change it. 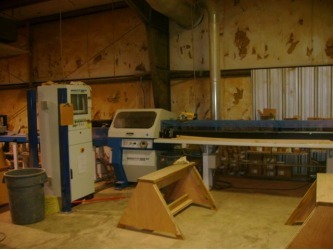 The machines can cut and handle up to 3 different grades within the same cutting list.